There is not a doubt in anyone’s mind anymore about how harmful smoking tobacco cigarettes can be for your body. They have proven to have the potential to reach every organ in your body to harm. They also will raise your risk for a smoking related disease. Knowing all of this, it is surprising that 40 million Americans continue to smoke. Just because there are so many American smokers currently does not mean that all of them actually want to smoke. 70% of that number has stated that they do indeed want to quit smoking cigarettes. 42% of them have actually attempted to quit cigarettes within this past year. With more attempts, one fifth of all smokers have tried to quit smoking by switching to smokeless tobacco products. The year the most notable changes in the tobacco industry happened was in 2010. In that year, tobacco sales decreased by a surprising 10%. This happened because of many factors but there are two major ones I am going to point out. One is that the federal income tax got raised. 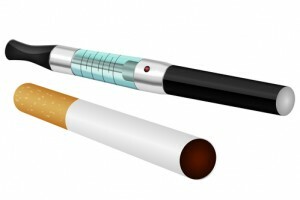 The other is that e-cigarettes grew so much in popularity for an alternative to smoking cigarettes. Although they might seem similar from the outside, old-fashioned cigarettes and e-cigarettes could not be more different. An e-cigarette is a tobacco-free product that heats up liquid to create vapor and tobacco cigarettes burns tobacco to create smoke. It is important to know what exactly is going into your body. Know all of the facts and differences between the two.